Hemplucid's CBD vape is made from whole-hemp plant, full spectrum - 500mg. Manufactured with ultra-refined, de-waxed Whole-Plant™ CBD Concentrate. 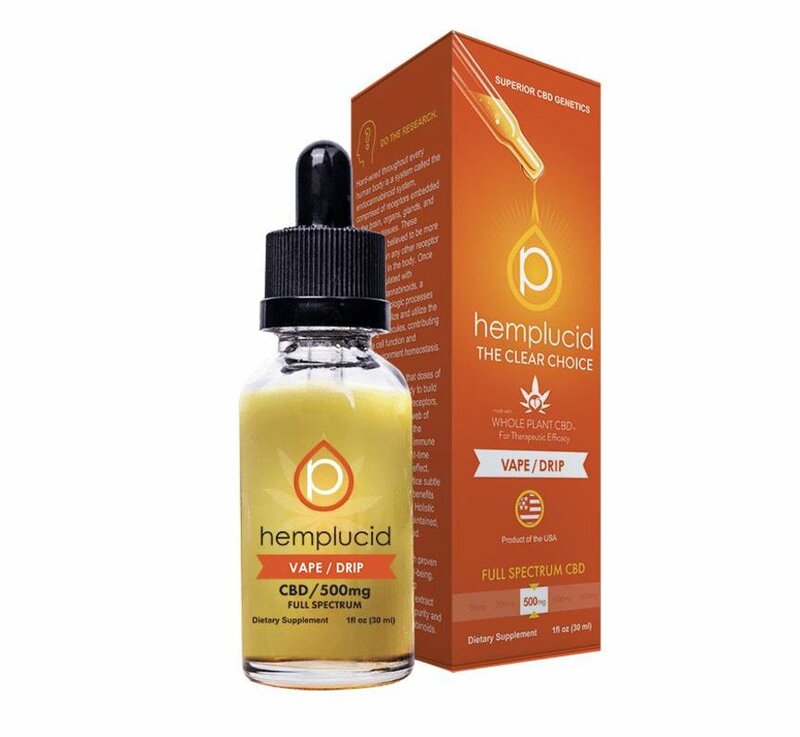 The CBD oil is bonded to glycerin in a proprietary process that unleashes the delicious terpenes and flavonoids. You will be surprised at the smell and taste! Ingredients: Whole-Plant™ CBD Hemp Extract, Organic Vegetable Glycerin, Polysorbate Separation is Natural – Gently warm and shake well before using. Store in original container in a cool, dark place. Keep out of direct light and humidity.